Pau Hana Surf Supply is a minority-owned business founded in 2006 in Santa Clarita, CA, by Asian Pacific Islander Todd Caranto (Filipino American). Pau Hana, [pronounced: pow HAH-nah], is a Hawaiian phrase that means “Work is over.” “Pau Hana Time” encapsulates the spirit of play and good times with friends and family.To that end, Pau Hana Surf Supply is a design and manufacturing company that builds equipment for that purpose. Athlete and board designer Todd Caranto, researches, designs, builds, rides, and tests all of its stand up paddle boards, adhering to a rigorous iterative development strategy. Because after the work is done, Pau Hana time is all about the ride. "I absolutely love my Pau Hana SUP. I've had it for two years now and it still looks brand new. It gets lots of use by many different size paddlers. Thank you for your expert advice when I was purchasing my board. Any time I've had to call Aloha, your customer service has been above and beyond great! Love what you are doing for our community too." The Pau Hana Oahu is true nose rider SUP series with a spooned out nose, wide tail, and full rails—designed for stability, maneuverability, and fun. The Oahus are excellent all-around boards that can be ridden in a variety of conditions (ocean, rivers, and lakes) and available in three different sizes. ​Due to the flat deck, extra width, and round nose, the Oahu preforms well as nose riders in the ocean, standing waves in the river, and steady platforms for yoga. With five fin boxes, this board can be configured with single, thruster, and quad setups, giving the rider flexibility to match the board setup to the conditions of the day. 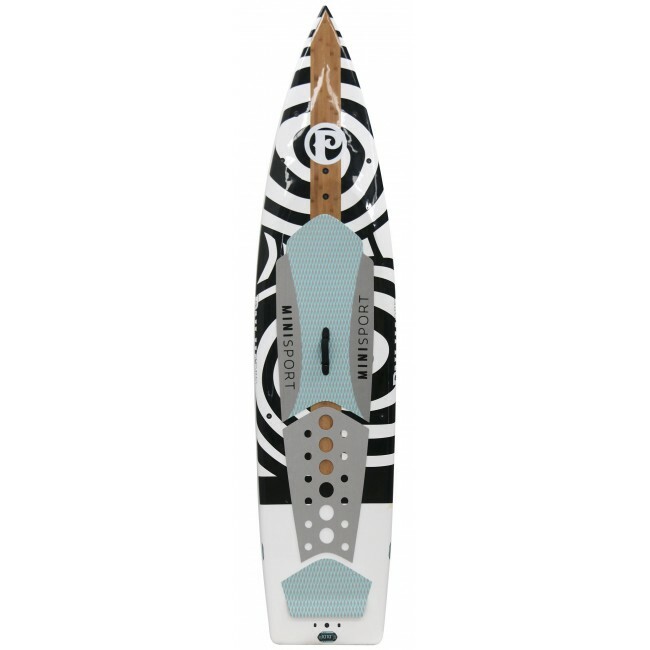 The Pau Hana 10’10” MiniSport stand up paddleboard was designed to meet the needs of those who want the increased speed of displacement hull race board but in a smaller, lighter weight package. ​It’s a great flat water SUP board that paddles fast in the lake, river, or marina. It’s also easy to carry and transport, weighing in at a 22.5 lbs and being just over 10’ long. The soft grab handle and its light weight makes it easy to pick up and place inside a car, van, or SUV. Catch more fish with the Big EZ Angler. 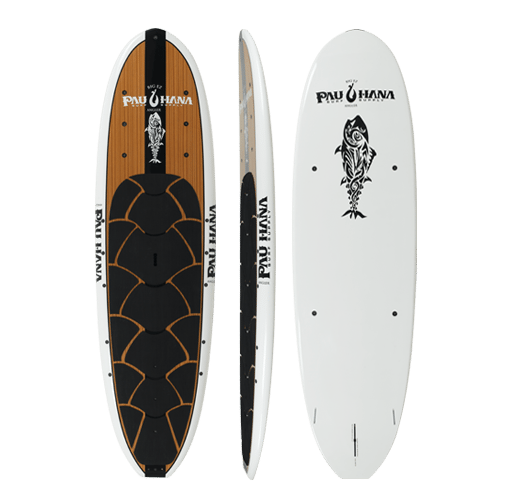 A real teak board, built for the best fisherman, the Pau Hana Big EZ Angler features 25 SeaMount™ threaded anchor points. Easily attach fishing accessories from RAM® Mounts and YakAttack. Bolt down coolers, fishing rod holders, paddle clips, cups, tackle and Nocqua lights. It can be rigged up for any kind of fishing and can handle heavy loads and carry all the gear you need. ​Available Widths: 32" or 36"
The Big EZ is designed for absolute stability for riders big and small in all types of water. The Big EZ is tough and durable and remains stable in all types of water conditions, which results in a positive experience from the first ride to the last. Because the board is so versatile, ocean paddling, surfing, river running, cruising, yoga, and fishing, there is always a reason to keep it around. It can be ridden single or tandem, with a pet or child, in the ocean, lake, river, bay, or marina. Our newest addition to the Pau Hana line up for 2017 is the rugged 12’0″ Endurance displacement touring board build for off the grid adventures. Everything about the board was carefully considered to lend itself as a day or multi-day touring stand up paddle board. Working with people who already do tours on SUPs we’re happy to say that we think that this board will both meet their expectations for having a utilitarian board that is both rugged and easy to gear up. The hull of the board is protected with Ricochet so that it can withstand contact with rocks, logs, or any other hard things that may come across it’s path. 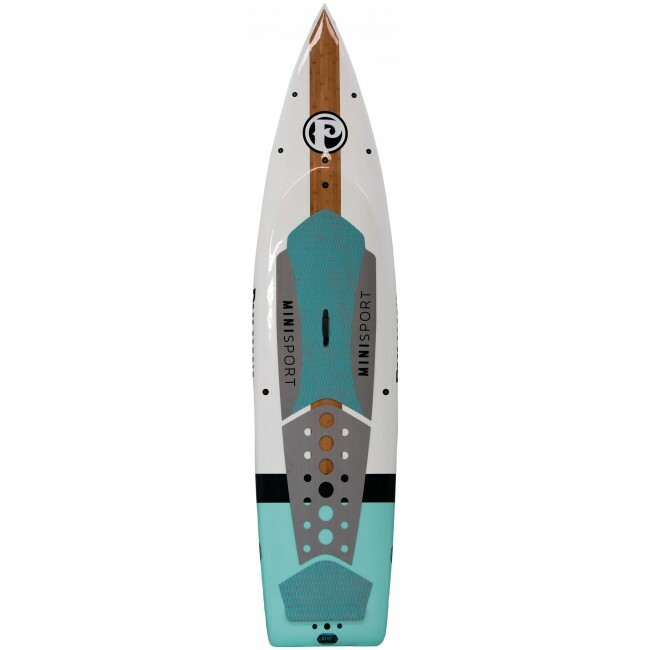 The board glides smoothly with its displacement hull and is easy to paddle even when fully loaded with equipment needed for the trips. Strategically placed Seamounts add to the utility of the board for securely holding down gear in the front and the rear of the board with the ability to fully utilize the deck space by having SeaMounts on the side of the board. The deck pad provides a comfortable sleeping platform and is designed to accommodate a standard size bivy sack when pulled on land. Grab handles in the front and rear make it easy to pull out of the water and drag across the ground. The board was named after Ernest Shackleton’s famous trans-antarctic attempt at the turn of the century, this board is dedicated to the hardy characters who choose create their own adventure.